It’s been almost a month since the Parkland shooting and it seems like gun control isn’t going to go away so easily. Of course, there are certain people who would prefer that it dies down just like every other shooting, so we can pretend that we fixed something when we didn’t. On March 8, President Trump held a meeting with several executives and figures in and around the video game industry, to talk about how violent video games are responsible for mass shootings. Putting aside the fact that this isn’t the ’90s anymore — and we already went through a similar thing back in 2011, shortly after the Norway terror attacks — this couldn’t have been a more blatant attempt to shift the conversation off guns themselves and onto secondary problems. It should be acknowledged that the Entertainment Software Association (the trade association for the video game industry) put out a statement saying it had received no notice that this meeting would take place, and many of the guests were notable conservative media commentators from organizations such as the Parents Television Council and Media Research Council. Only two executives from major publishers (ZeniMax — owner of the publisher of “Doom,” “Wolfenstein” and “Fallout” among many others — and Take Two — owner of publishers behind “Grand Theft Auto” and “BioShock”) were in attendance; none of the big three console manufacturers (Sony, Nintendo and Microsoft) were in attendance, not to mention the ESA. But Patricia Vance, president of the Entertainment Software Rating Board was present, according to reports. Perhaps even more insulting was that Trump kicked it off by showing a cherry picked video of some of the most violent scenes from games like “Sniper,” “Wolfenstein” and “Fallout,” completely divorcing them from context and pointing to these as the reason behind Nikolas Cruz’ rampage. A bit suspect considering that “Wolfenstein’s” sole purpose is to kill lots of Nazis, and in fact has been heavily integrating the real horrors of the Holocaust in the two most recent entries. (It even utilized memes like white supremacist Richard Spencer getting punched in its marketing). In fact, most of the scenes featured are the result of a game over, and are indicative of failure. Even if the killer was somehow inspired by some violent shooter game, there’s not much the government could do about it. The Supreme Court ruled in 2011 that video games are considered a form of expression and thus are protected by the First Amendment. Games themselves are already self-monitored via the ESRB, which gives them ratings and content descriptors to help parents choose which games are appropriate for children. Most retail stores have policies against selling M-rated games (suitable for 17 and older) to minors, and all major consoles have parental control settings that are easily accessible and allow parents to restrict access themselves. 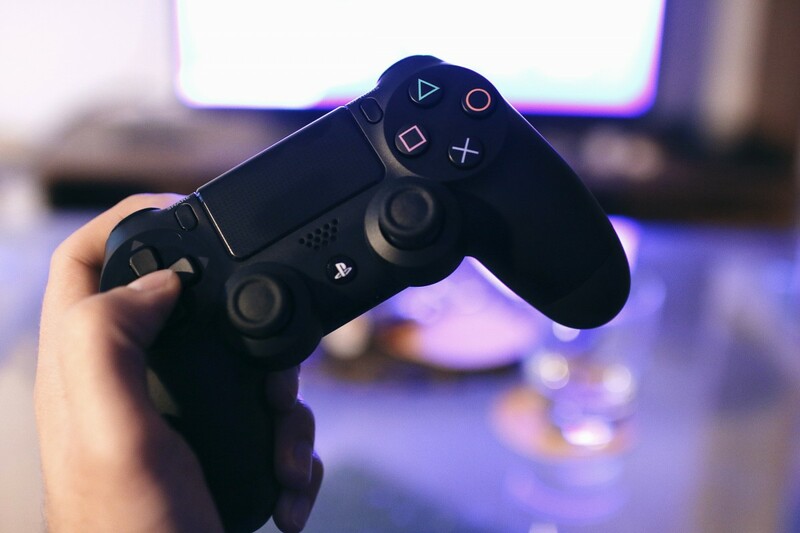 In addition, as the Supreme Court noted in Brown v. Entertainment Merchants Association: “Psychological studies purporting to show a connection between exposure to violent video games and harmful effects on children do not prove that such exposure causes minors to act aggressively.” Other countries like Canada, Australia, the UK and Germany receive most ofthe same games that we do, and yet they have almost no mass shootings on the level as us. Japan is perhaps the next largest game industry, yet has not had a single mass shooting. The simple fact is, the attendees of the meeting would rather blame the media than anything else as long as they don’t have to restrict access to their precious war weapons. Paul Ryan would even rather we focus on mental illness, despite his personal dream being to gut the very system that would help those issues. And to be fair, there are discussions to have about the use of violence and context in certain games — for instance, the glorified portrayal of military might in “Call of Duty,” the horrifying death sequences in “Tomb Raider” and the use of torture as an interactive joke in “Grand Theft Auto V.” But these arguments are not being made in good faith; just as with mental illness, these leaders just want a scapegoat to blame, maybe some half-hearted attempts, before they go back to ignoring the problem again. Like almost all of this administration’s attempts to do literally anything, nothing will come of this meeting. The government cannot censor games for anything or restrict purchasing, and the industry itself regulates. It’s infuriating that in this year 2018 we’re still arguing over scapegoats rather than just giving up the deadly weapons. No one should have to live in mortal fear that they will die just by going to school; your right to compensate for your insecure masculinity is not compatible with our right to just live our lives. The idea that the NRA would advocate arming teachers after ignoring a black educator who was unjustly gunned down by police would be laughable and offensive, if it wasn’t so sad. We may have crossed a moral rubicon when lawmakers decided that we shouldn’t lose our guns, despite the tragedy at Parkland, but with the momentum built up from Parkland, this can all change. The NRA is floundering to keep afloat, and hopefully by the end of the year it will have drowned. Then we’ll see just how much video games are to blame.